For your safety and trail preservation Miller Woods may be closed during SEVERE weather conditions; CLOSURES WILL BE POSTED on the district website and on the Miller Woods entrance gate. Proceed down driveway 0.2 mi. Stay to the right to enter parking area. Miller Woods was developed and is maintained primarily as an educational venue. All group activities must be approved and scheduled by the Yamhill SWCD. Group fees may apply and are payable to Yamhill SWCD. Download the Group Use Application Form or visit Yamhill SWCD office at 2200 SW 2nd Street in McMinnville. 4. Bicycles, horses, motorized vehicles, skates, roller blades, and cross country skiing are not permitted. 5. Hunting and fishing are not allowed. 12. 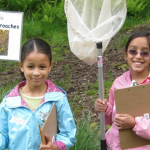 Group visits and educational events need to be authorized in advance by contacting Yamhill SWCD. Miller Woods is a place to experience nature. report to Yamhill SWCD staff or call 503-866-6164 immediately. Cougars, bear, deer, porcupines, and other animals are known to pass through the property.